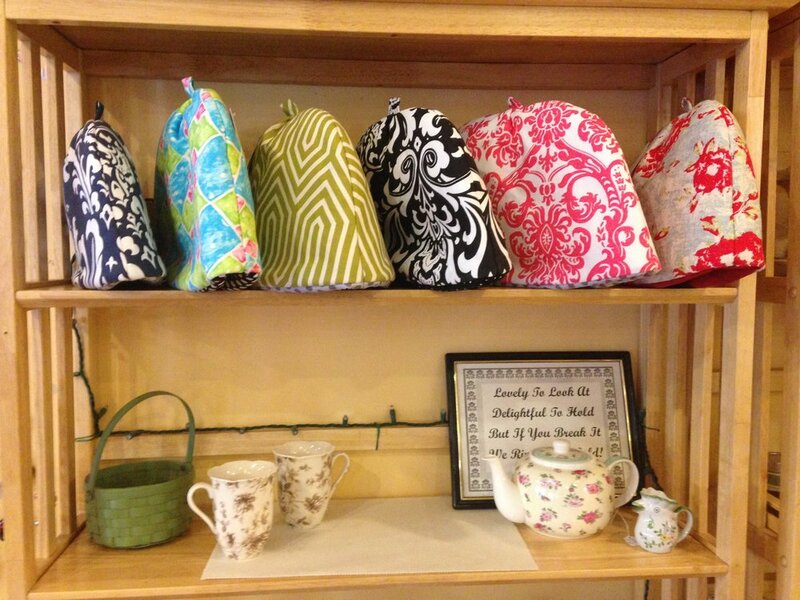 Tea cozies...Don NOT put on head! “The quality of our life has gone up since we switched to drinking loose-leaf tea," the chef told me the other day, and I thought, “Isn’t it nice that we can do such a relatively minor thing to ratchet up our life quality.” For it isn’t just the flavor that is so much nuanced and richer, but there’s also the ritual. I keep the tea in tins that I dig into with a long-handled spoon I bought at Muji, my dedicated tea spoon. I put a spoonful in the robin’s egg blue teapot. I set a timer for four minutes while the tea steeps and there is that lovely sliver of a moment before I drink the tea: the simple hope of comfort that comes when you pour the steaming liquid and the gratification when the warm ceramic mug is in your hand, full of restorative strong brew, which I sip slowly. “All of life’s problems are greatly eased by hot milky drinks,” said a character in a Barbara Pym book. I thought of that quote last week on election day, a day when our tea stores were dangerously low and my need for comfort was dangerously high. I knew that a cup of tea could do nothing to ease the problems in the world out there—a world Michelle Goldberg eloquently described in her op-ed Anniversary of the Apocalypse—but to help us confront insurmountable problems, it helps to fall back on routines of comfort. Maybe that’s why the British, who had been through two wars and were bombed out of their homes, rely on the routines of tea. 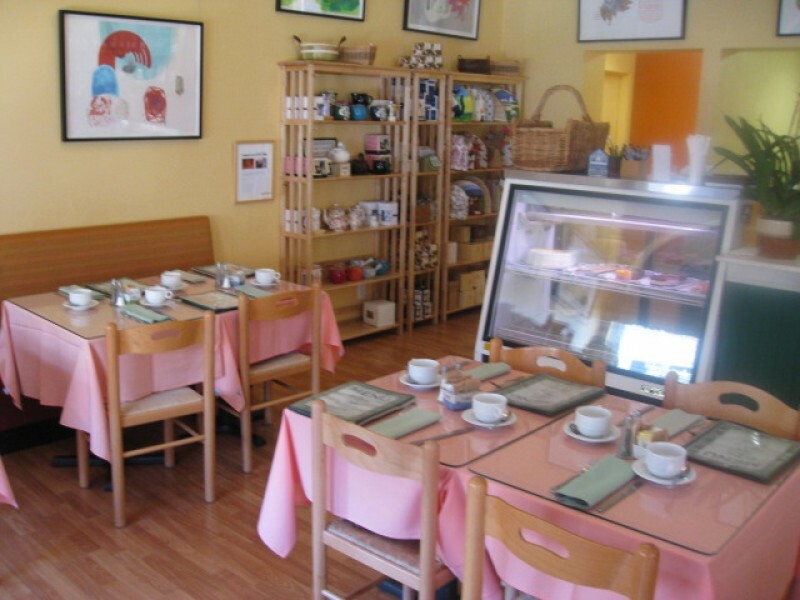 …which I got when we settled in at Silver Tips,* the unfussy tea room commandeered by the serious manager, Jacque. The "no nonsense will be tolerated!" vibe was communicated when we first came in years ago and saw a sign (and warnings on the menus): “Do not put tea cozies on heads.” In fact, you must ask for the charming cozies now, because Silver Tips is so worried they will be misappropriated as headgear, and our server said, “It’s always adults who do this. Never children.” Well, never mind. I ask for my cozy and treat it respectfully. The chef ordered a two-cup pot of Chinese Grand Keemun ($2.95), a full-bodied tea with notes of orchid and rose and a mellow finish. My daughter and I shared a four-cup pot ($4.95) of Kenilworth Orange Pekoe (OP), which is the kind of tea that powers me through the afternoon, strong enough to take some milk—a tea with spine. We split a giant cranberry scone, served warm with crème fraiche and preserves ($3.50)--the scones are soft, dense and chewy, not austere and crumbly--and ordered two hefty samosas, that come with cilantro and tamarind chutneys ($7.50). But the thing to order, if you come for a larger repast is the egg souchong sandwich, flavored with tea smoked eggs marinated in Lapsang Souchong tea ($7.95). But in this case I mention these snacks as an afterthought, for what draws me again and again is that rarity in the United States, a tea room truly dedicated to the leaf! And of course, I bought bags of the Grand Keemun and Kenilworth OP to bring home. What pleasure to pour the dark, scented leaves into my old empty tins when we got home. I love to open the cabinet and gaze at my tins from Harneys and the tins full of Silver Tips, on which the labels have been crossed out again and again (New Vithanakande then Silver Tips Early Grey, then indecipherable, then Kenilworth OP)…It’s clear we’ve developed a habit, and one that sustains rather than harms or depletes us. *By the way, “silver tips” are the delicate leaf-buds just at the point of unfurling. 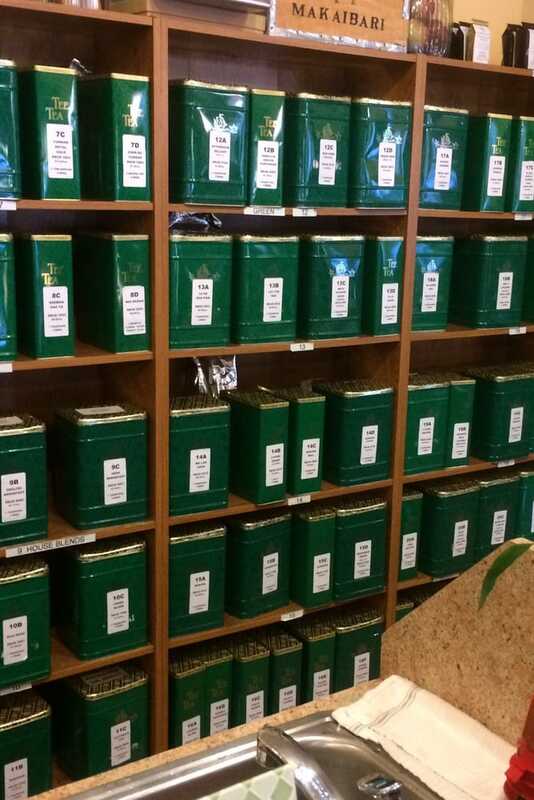 They undergo the least processing and are said to retain higher levels of antioxidants than other teas.